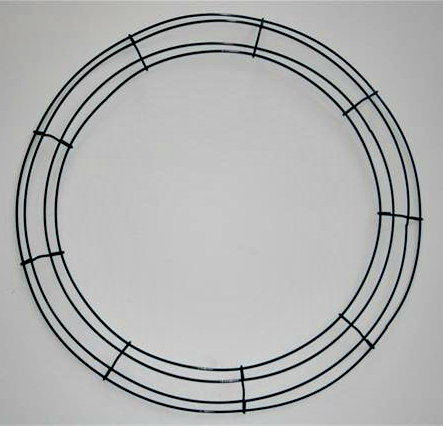 The box style wire wreath form is very versatile and very inexpensive. It comes in assorted sizes from 8 inched up to 24 inches. 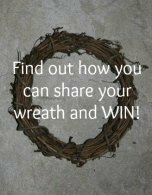 Unlike the grapevine that is often times incorporated into the wreaths final look, this form is usually only a foundation and you do not see it as part of the wreaths final project. It is easy to hang on a wreath hanger. It is easy to attach items to it. 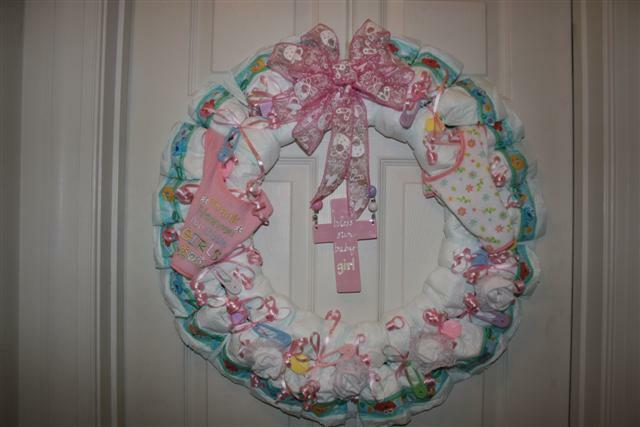 This Diaper Wreath was made on a large wire form. This made it very easy to tie the diapers and other items onto the frame. And even thought the finished size was quite large it was very light, making it very easy to hang. Another wreath that I have made on the box style wire wreath form is this edible candy wreath. 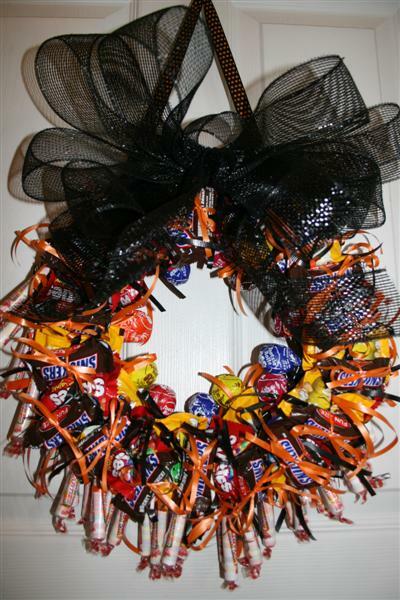 All the candy is tied to the form so again time consuming but, easy to assemble. The candy was quite heavy so good thing the frame was light but strong enough to hold the candy, without breaking or losing its shape. Deco Mesh wreaths are ever so popular these days and are so easy to make on this frame. The deco mesh can be attached with pipe cleaners and any accent pieces can also be easily tied on. 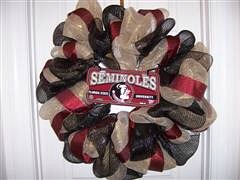 This team spirit Florida State wreath and Halloween wreath were both made on this box wire wreath form. Same form in all of these examples but a totally different finished look. 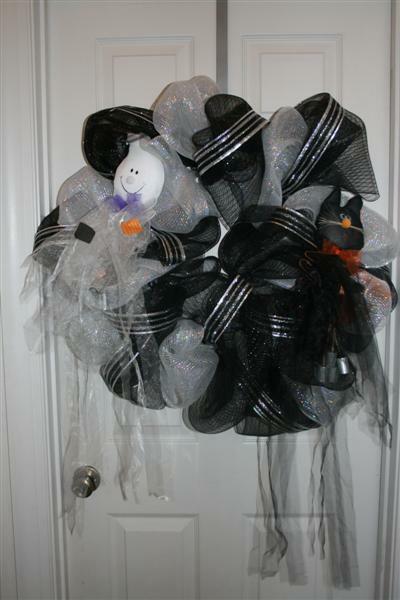 The possibilities are endless for the wreath projects you can make from this wreath form. So get you a form, get started and have fun!! !